This interview was conducted on 5/11/15 for an upcoming broadcast. The questions were written by the interviewer, the responses are mine. What happens on the provider’s end – how do you prepare the placenta for ingestion? In the process that I have adapted from Traditional Chinese Medicine, the placenta is washed,steamed, and dehydrated. It can then be ground into a powder form. From that point, the mother can mix it into smoothies or other foods, or she can have it put into empty capsules and just take some capsules with water. Are there other methods of preparation? There are other methods of preparation, yes. The placenta can be prepared in tincture form, which has a long history of use as well. That practice or method seems to have originated in Europe, and is popular in Germany. A tincture is an alcoholic extract of a substance, so a small piece of placenta can be put in alcohol for a period of weeks and then just a few drops at a time are taken for the effects. But to my knowledge there is no research on that method yet. There is a growing interest in consuming the placenta raw as well. There are various drawbacks to raw ingestion, however. Are there differences in safety and efficacy relative to the method of preparation? Are there differences in efficacy between methods? We really can’t say because there’s been no research done on any other methods. Partnering with UNLV, we are doing the first placenta versus placebo blind controlled study, and the placenta for that research is prepared using the method I’ve developed and trained in, affectionately dubbed the PBi Method. But there are absolutely differences in safety with preparation methods. Just as with anything else you are going to ingest, there are risks involved with the preparation of it. If the placenta is not properly prepared or handled, and then the mother consumes it, she certainly can get food poisoning from an improperly prepared placenta, just like going to a restaurant and the chef doesn’t prepare her meal properly. Preparation, handling, cross contamination – It’s a definite concern. If a woman is considering placental consumption post birth, what would they look for in a provider? Is Certified by an organization that requires ongoing oversight of their trainees. A “one and done” certification is not going to be as rigorous as one that requires them to submit to regular renewals, because renewal forces a provider to demonstrate a continued dedication to their education, especially when certification renewal is also dependent on continued positive client feedback. Are there regulations that govern placental service providers? This is where it gets tricky. Is there a government agency out there regulating placenta preparers? No, because the field of practice is too new. You must realize, we are still fighting some hospitals in some states to even release the placenta to parents. Only two states in the US currently have laws on the books protecting a parent’s right to take the placenta home from the hospital. Placenta as a food product has never been on the government’s radar to even consider regulating! There have been supplements filed over the years for products containing human placenta, and the FDA has continually denied approval for them. So we don’t WANT to be regulated, necessarily. Before I started the training branch of PBi in 2007, I spoke extensively with health departments, including the Southern Nevada Health District; I spoke with the FDA to see if I would be violating any regulations by preparing placentas for consumption. And the answer was NO, with caveats. That is why I created the Standards and Protocols for placenta encapsulation processing which are still used by all PBi Specialists in the US and in the UK today. We only go to the client’s home to prepare the placenta. This is because the amount of oversight necessary to prepare the placenta in any other facility would be incredibly difficult to set up. 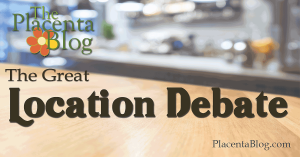 Even after speaking with cord blood banks and their regulations for handling cord blood and placental tissue, the regulations for handling placentas for consumption would be at “clean room” standards, which are nearly impossible to attain, even in a lab. We don’t transport the placenta. Transporting healthy human organs are still subject to the state’s Department of Transportation (DOT) laws and regulations. In most states, in order to transport human organs, you must have a certain license, and the organ must be properly packaged for transport. The rules and regulations in place for getting donated placentas from the mothers to the research lab at UNLV was an intense process and had to be very well documented, and closely followed. If the parents transport the placenta home from the hospital, properly packaged by DOT standards, they are not subjected to the same rules and regulations as someone doing it as part of their job or service. At PBi, we believe we can best serve the mother by going to her, providing a personalized service, and caring for her and the placenta in her own space and in her own kitchen. It minimizes the risks for all parties, and we can often help the new mother in other ways (such as cleaning her kitchen, answering her questions, involving the family if they’re interested in the process, etc.). Our process is very family – friendly and transparent; our clients can be as involved or as uninvolved as they would like! Sometimes I never see the mother because she’s in the bedroom resting with her baby, and sometimes I have three generations in the kitchen with me, asking questions and learning about the placenta. It can be a really wonderful experience for the family. Just because there is no regulation of placenta encapsulation in particular, does NOT mean there is no regulation at all. We still must comply with food safety standards, food preparation guidelines for the state in which we are practicing, and transport of human organ laws. There are foods that can be prepared in the home of the business owner, such as “cottage industry” type products. Those apply primarily to baked goods. As an organ, placenta more closely resembles a meat, not a cookie. And even the cottage food industry doesn’t allow meats to be prepared in the home for sale – beef jerky cannot be dehydrated in the kitchen of the chef and then sold at a farmer’s market, for example. So, neither can placenta. Additionally, my company, PBi, is the only one which has their Standard Operating Procedures on file with the FDA and requires our trained members and Certified Placenta Encapsulation Specialist®s to comply with all of these rules and regulations. There are other training organizations now, and there are a lot of people preparing placentas, but if you feel most comfortable using someone who has agreed to follow these kinds of guidelines for preparation, then I suggest you find someone from our Provider Directory at Placenta.Directory. Placenta encapsulation can be a wonderful option to help women in their postpartum recovery. I just want women to choose their provider carefully. As the founder of PBi, I created the standards and protocols for placenta encapsulation because I wanted to make sure that no woman who ever used one of my trainees would ever become sick from her capsules. I care about every mother’s health, wellness, and safety. I believe passionately in the benefits of placenta for postpartum recovery, and I would never want a woman to have a negative experience after hearing about the benefits from me. I take that responsibility very seriously. PBi Specialists are held accountable for their actions. 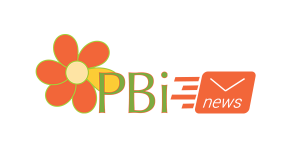 If any mother feels that a PBi Specialist has acted with misconduct, she can file an objection with PBi as an agency, and PBi will investigate the objection and see what sort of sanctions should be imposed. PBi is the ONLY Certifying organization that provides ongoing oversight of our trainees, members and Certified Placenta Encapsulation Specialist®s. Our directory of PBi Placenta Encapsulation Specialist®s can be easily found at Placenta.Directory (just type Placenta dot directory into your browser and it will take you to our international list of Trained and Certified Specialists). Safety matters, because the health of mothers is what we are all about.